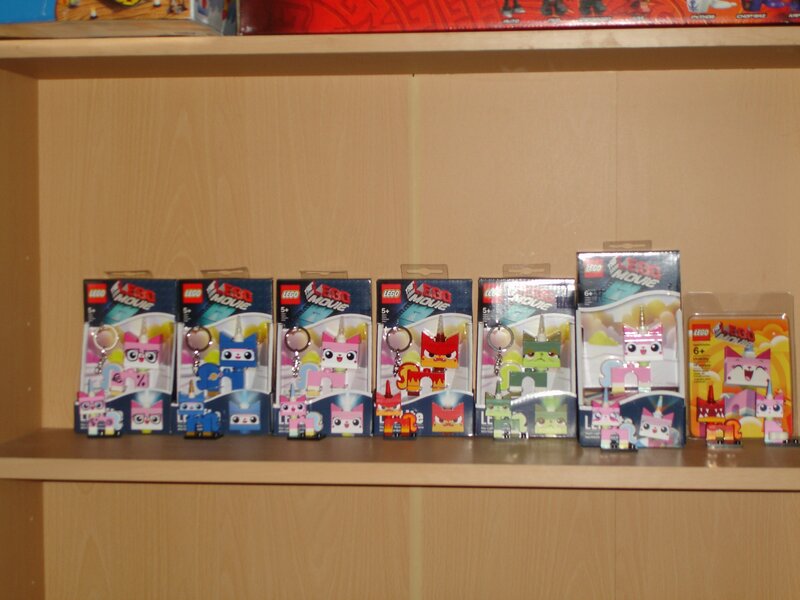 All 8 Mini-figs.... Uni, Bizniz, Astro, Queasy, Angry, Super-Angry, Puzzled & SDCC Cutesykitty. I also have the Uni-Kitty Nite-Lite. Has any other Lego character had as many official Lego item incarnation's like Uni-Kitty ??? Oh I forgot the upcoming Lego Dimension's Uni-Kitty Fun Pack, so that will be 15 official Lego Uni-Kitty items. plus another 3 keychains and 2 magnets. I found about 28 Batman figs including a microfig. Han Solo has quite a few too. And I'm not sure about the status of stormtroopers, are they all the same character being clones? I think Spongebob has 15-16 including magnets and keychains. Han Solo has about 28 different figure variations alone... 95% of which are just simply a slight change in his facial expression.